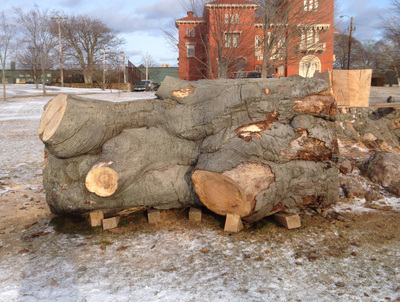 This 180+ year old Copper Beech was planted on the Edward King estate in Newport, RI and was voted the Newport Tree of the Year in 2012. 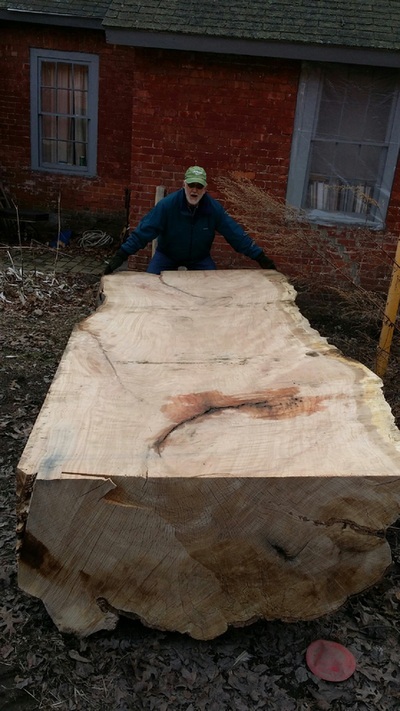 A combination of its old age, a root pathogen and a very rough winter led to this landmark tree's demise when it was cut down for safety reasons in 2013. Thankfully, this piece of history now has a chance to live on for years to come. It can now be made into furniture and custom instruments instead of being turned into firewood and mulch. 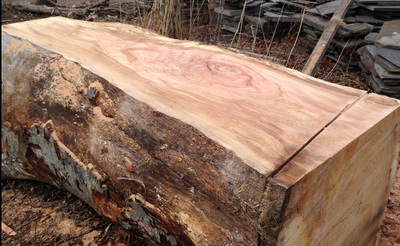 We have two logs from this tree. 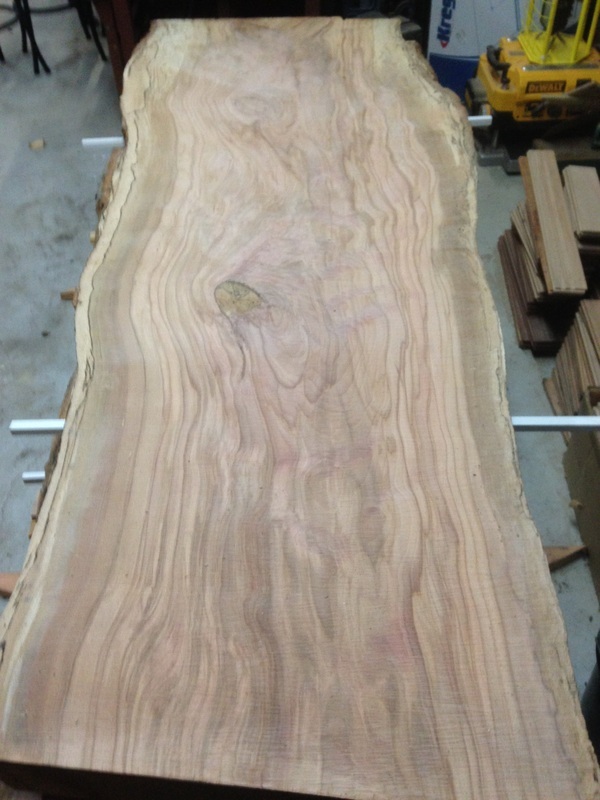 One measured 40" x 8' and the other measured 58" x 12'. They will be available in live edge and partial live edge slabs ranging in thickness from 10/4 - 12/4 as well as quartersawn material up to 30" wide! 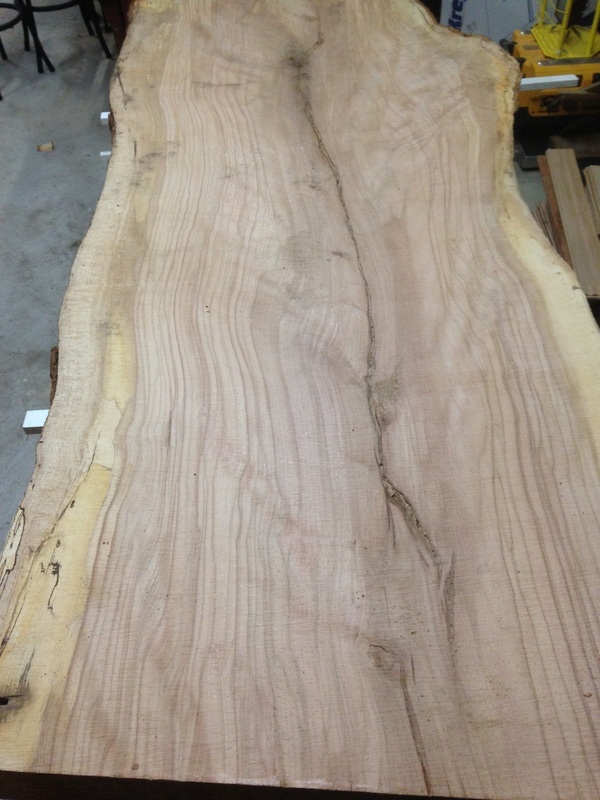 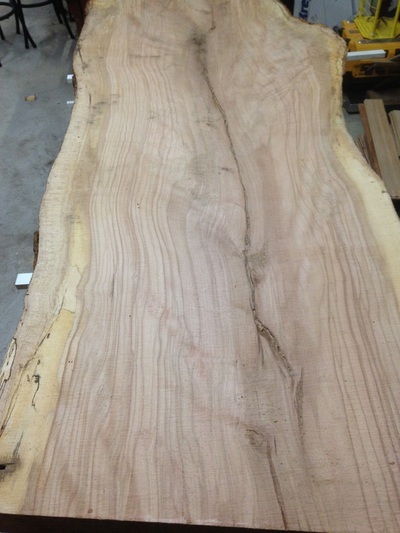 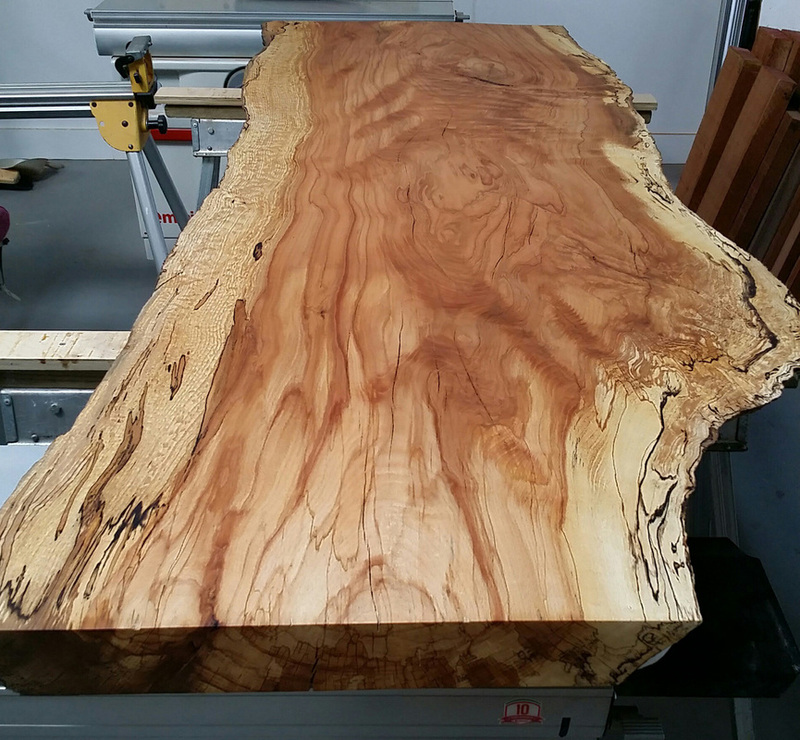 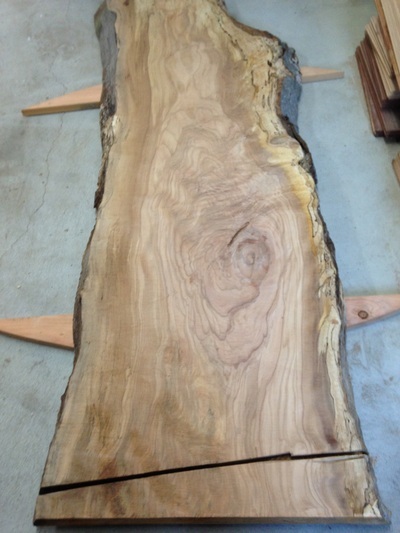 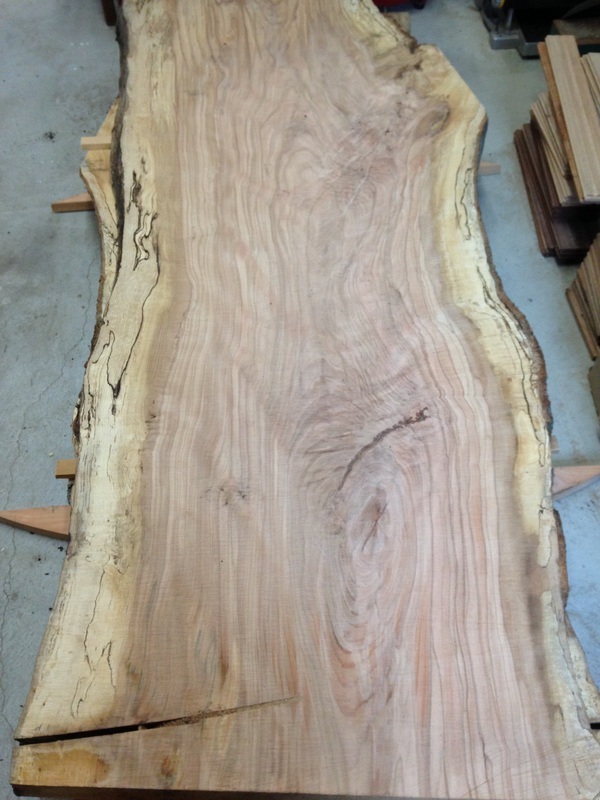 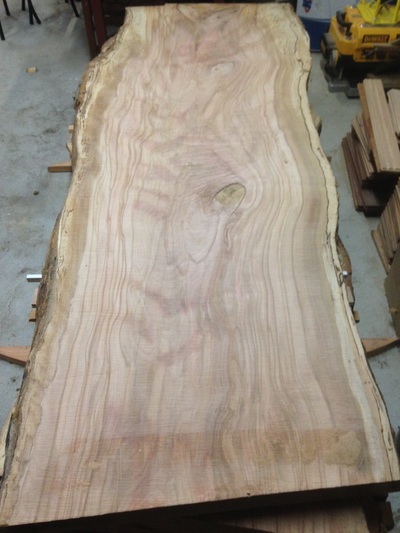 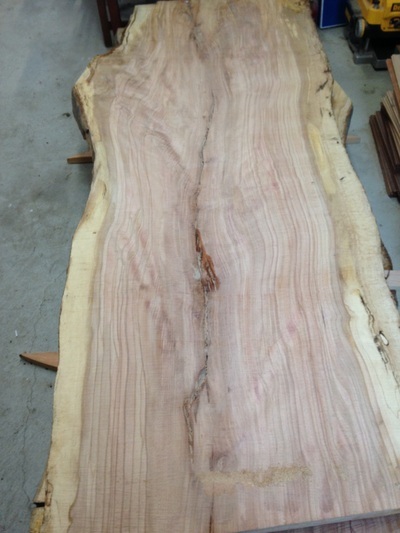 Available by late December, 2014 will be six live edge slabs measuring 12/4 x 32"-40" x 8' as well as 12/4 and 5/4 quarter-sawn material. 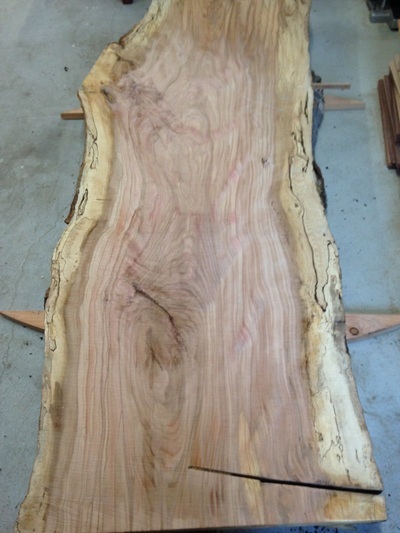 It was air dried and finished in a kiln for the last 2%. 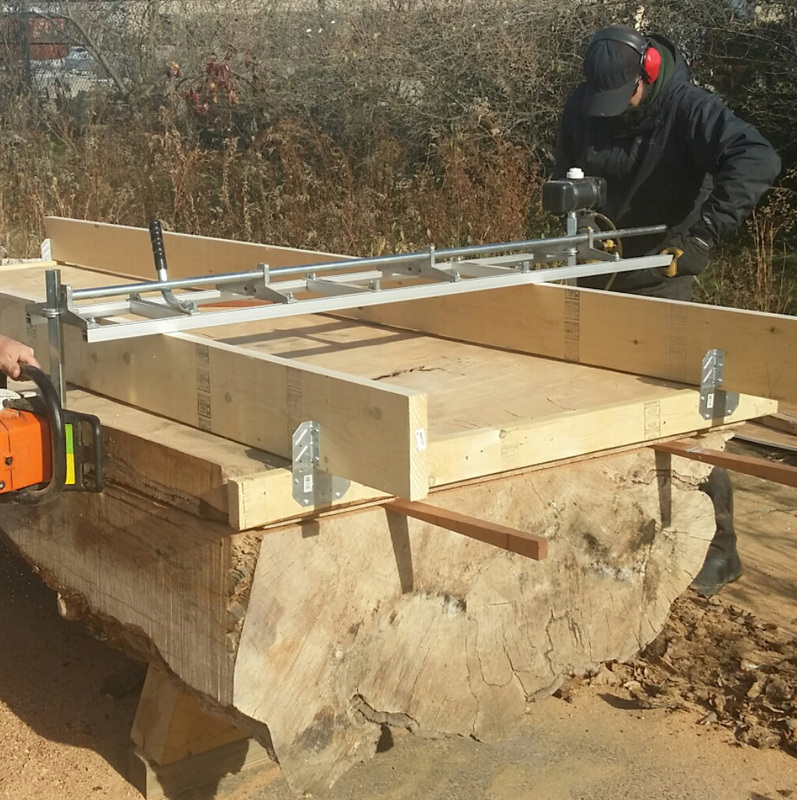 Coming this spring will be eighteen live edge and partial live edge slabs measuring 10/4 x 45"- 58" x 12' as well as quartersawn stock up to 30" wide, air dried and then finished in our custom solar kiln. 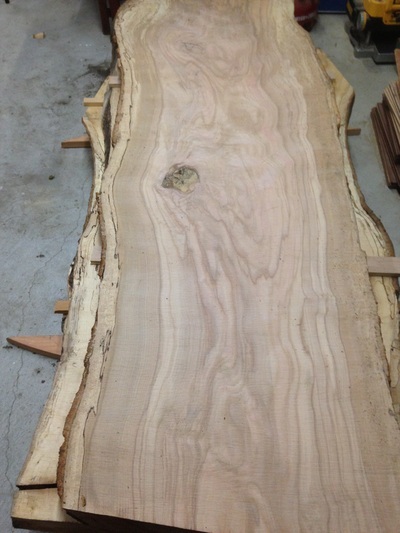 This historic material is highly figured and features beautiful color.